Back in my London days, in the late 90s, I had the chance to meet and befriend some of the greatest Sommeliers of the London restaurant scene. Sommeliers who became personalities and key figures of the wine world over the last 20 years. One of them was Loïc Maillet. After graduating from the Catering and Hospitality school of Paris (L'École Hôtelière de Paris), Loïc Maillet moved to London. It was the kind of serious Sommelier, passionate about wine and food, to the point of even winning the contest of UK Best Sommelier in 2003. His wine career evolved through the years to bring him to his current position of General Director of "La Vintage Company" a young and dynamic Bordeaux Négociant company. Somewhere along his wine career path between France and UK, Loïc met his future wife, Coralie de Boüard, yes, the daughter of Château Angelus owner Hubert de Boüard de Laforest. Coralie de Boüard is literally born into wine. 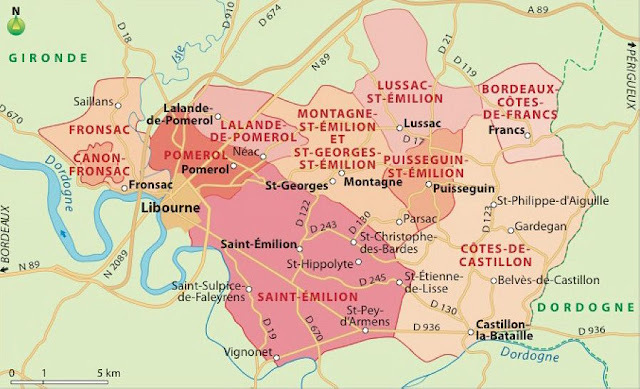 Along with her sister and brother, Coralie grew up in Saint-Émilion at Château Angelus. From an early age, she followed her father in the cellar and the vineyards and started to walk into his footsteps developing a great interest for the vinification process, rapidly evolving into a passion for wine and winemaking. 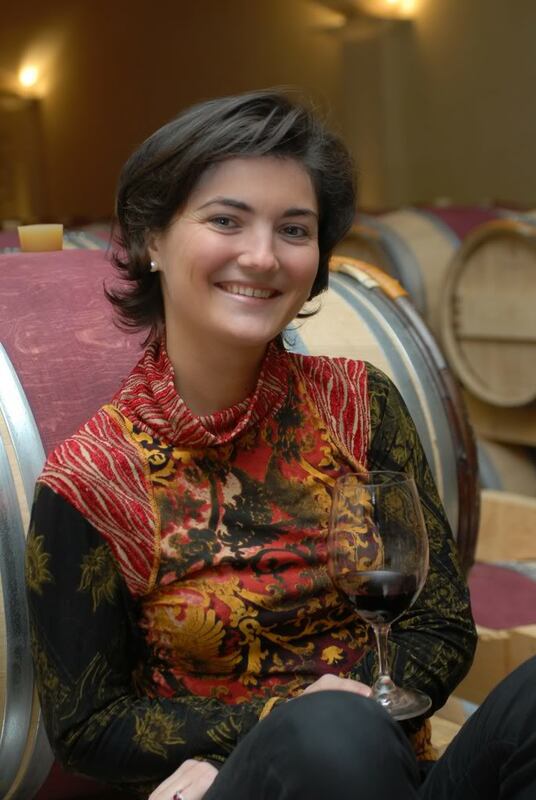 During 10 years, she developed her skills and knowledge working alongside with her father at Château Angelus, taking care of communication, marketing and sales. 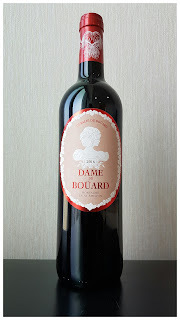 Then in 2012, she took the reins of Château La Fleur de Boüard, a 33 hectares property located in the neighboring appellation of Lalande de Pomerol, that her father acquired in 1998. Château La Fleur de Boüard became the "home" of Coralie and Loïc, and their children, and an ideal place for experiments, where she learned and deepened her knowledge and strengthened her skills, with the help of her brother Matthieu, as well as Philippe Nunes, Technical Director of Château La Fleur de Boüard, and the architect Arnaud Boulain, who also conceived the cellar at Château Angelus. Playful and smiley, Coralie de Boüard is more especially an engaged, passionate, enthusiastic, and creative winemaker as well as a proud mum. Not easy being the daughter and growing in the shadow of such an illustrious winemaker and chateau owner like her father. People often judge you too hastily having grown with a silver spoon in your mouth and surely think that everything will be served to you on a silver tray. However, Coralie's ambitions to have her own estate and make a name for herself were more important to prove herself to the world and not remain in the state of just being Hubert De Boüard's daughter. She wanted to change this image. She wanted to be recognized for her skills and passion, for her hard work and creativity. To put her own mark on the right bank's terroir and continue a family tradition of winemaking, as one of the up and coming ladies (estate owner and/or winemaker) fighting for their place and recognition in this mostly man's world of wine and winemaking. 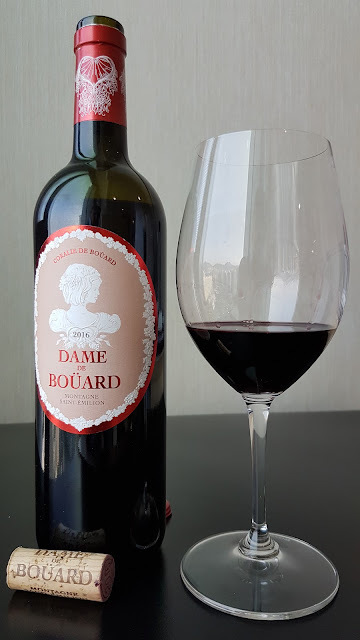 In 2013, while in Bordeaux for a few months, helping during the change of ownership and following transition period when the company I work for acquired Château Le Bon Pasteur (Pomerol) from Michel and Dany Rolland, I visited Coralie and Loïc at Château La Fleur de Boüard. They are very warm, generous and welcoming people, family oriented, and always happy to guide people through the visit of the estate and the cellar, which is by the way quite unique in the world, and of course, make you taste their wines. Already at that time, a rumor came to my ears, that they wanted to expand or even eventually venture into a new project. Yet, they kept it very discreet, as it was just an emerging idea, but the process of looking for a new property was in their mind and began shortly after. There is definitely a huge gratification of going from just an idea to the concretization of this idea. Yet, it often requires patience, determination and dedication, going through frustration and disappointment, false hope and missed opportunities, while at the same time searching for the ideal place, the one that will satisfy your ambitions and see the realization of your dreams and/or desires. Back in October 2016, I read the news via a "communiqué de presse" that the search was over and that, finally, Coralie (and Loïc) found what they were looking for. In September 2016, Coralie signed a new professional and familial project, by buying a property called "Tour Musset" to the "Castel Frères", located in the Montagne Saint-Emilion Appellation. A new project that she manages alongside with her husband Loïc. A place where she can express her true passion, live with her family, raise and watch her children grow in the vineyards and the cellar, the same way she did at their age. September 2016, right on time to manage her first harvest and supervise from beginning to end her own first vintage at her own property. What a bliss it must have been, to begin with, such a vintage like 2016. 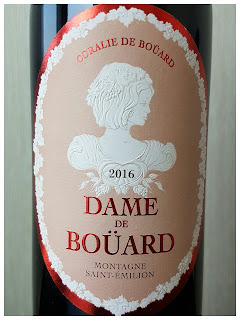 A vintage cool and wet during spring, somewhat ideal for flowering not to appear too early, then followed by a hot and dry weather during the summer lasting through the harvest period which produced wines with very good ripeness and intensity, yet balanced by great acidity, integrated tannins and lower alcohol than 2015. More particularly for vineyards planted on the limestone plateau with clay topsoils, which better regulate the water in the soils and subsoils in hot years. These have delivered exceptional wines. The ripeness of the fruit and the soft quality of the tannins make them generous, supple and juicy without compromising on the intensity. It is said that even before signing in September 2016, Coralie started to get acquainted with the property and even worked with the previous owners during the vintage 2015, to get to know the vineyards and be well prepared for her own 2016 vintage. That shows you how determined, dedicated and focused she was. She wanted it and she got it. And now that it is hers, she will surely try to make the best out of it, and the result is already showing in this 2016 vintage. 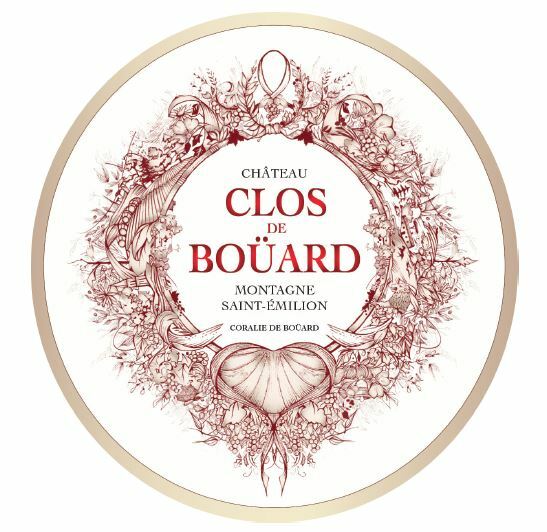 Located in the hilly landscape of the "Montagne-Saint-Emilion" appellation, on the commune of Parsac, Château Clos de Boüard possesses 30 hectares of vines fragmented in several parcels, planted on gentle slopes with good exposure of clay and limestone soils, historically reputed as an exceptional terroir producing refined wines. 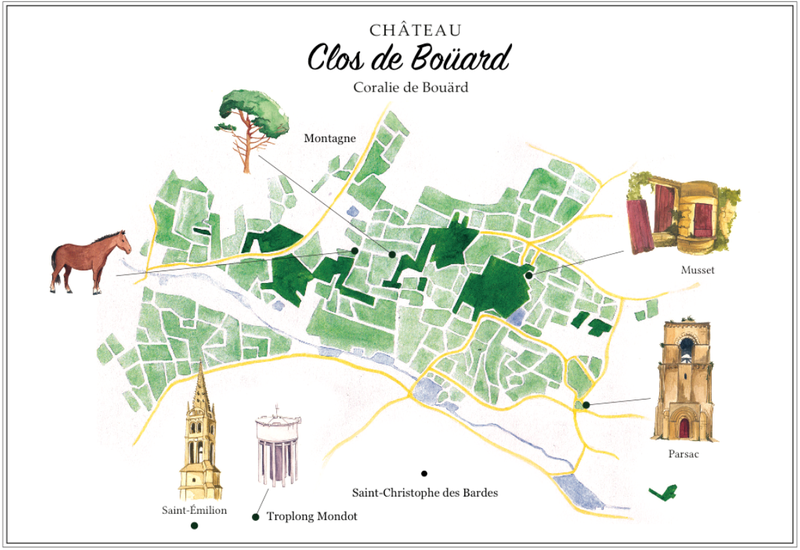 The vineyards of Château Clos de Boüard benefit from the quality of the soils, natural drainage, and sun exposure, and more importantly an environment providing a rich biodiversity and ecosystem as well as a strong presence of old vines, 35 years old in average. As an indication of the quality of the terroir, Château Clos de Boüard counts amongst its neighbors, renown Châteaux such as Fombrauge, Rocheyron, Croix de Labrie, Valandraud and Troplong Mondot just to name a few. Investments to restructure the vineyards and facilities are underway in order to produce high quality wines with silky tannins, velvety texture, respectful of the fruit, full of elegance, delicacy and freshness, signature wines resulting of the family know-how and expertise. Coralie and her team craft the wines along with her father as a consulting winemaker. 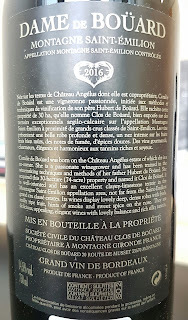 So, despite the fact that I know Coralie and Loïc, the inspiration to write this post on my blog came after tasting their wines, because I think they deserve some attention. Last October (2017), Loïc contacted me to ask me if we will be interested to buy some of their wines for the restaurants the company I work for owns in Hong Kong. I answered him that it would be a good addition to the wine list of the company's French restaurant "Le Pan Apicius", located in Kowloon Bay (Hong Kong); but that I could not make any promises as I'm not the wine buyer for the restaurants, and that purchasing is done by the Sommeliers of the Dining Division. 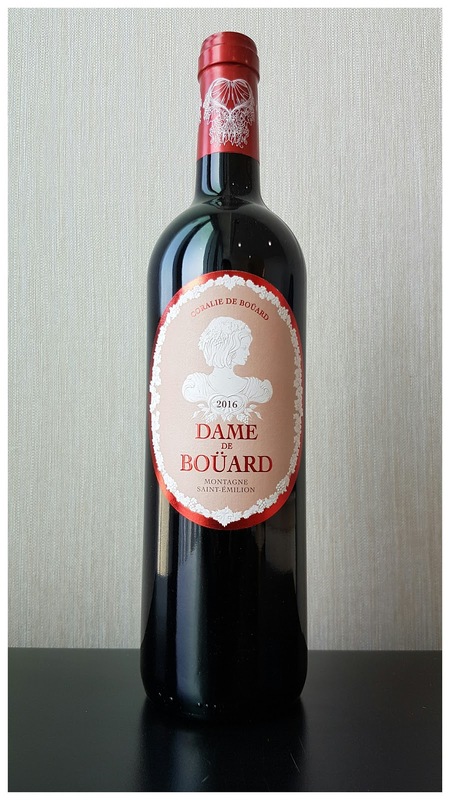 Loïc still sent me some samples of the 2nd wine of Château Clos de Boüard called "Dame de Boüard" 2016 vintage, as the first wine, produced in small quantity, was already allocated or reserved. I tasted them with the Sommeliers of the Restaurants. Right after opening, enticing ripe and earthy aromas already warmed up the room. In the glass, it boasted a dark, intense and deep color, almost thick. The nose was warm and perfumy with ripe dark and red fruit and berries, sweet spices, roasted coffee, and herbs, with slight oak and earthy nuances. In the mouth, the attack was juicy and ample, expanding nicely toward the textured mid-palate with dominant fruit flavors, hovering on your taste buds towards the youthful (and slightly tannic still IMO) finish. Although the tannins are well balanced with the fruit, they are not yet fully integrated and may deserve a bit of time to settle down a little. 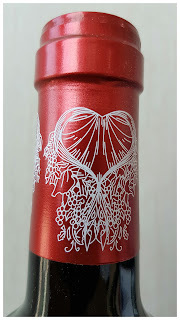 Yet, overall, the wine is really well textured and structured, has enough acidity to balance the ripe fruit and tannins, and has a lot to offer, especially at this price. Although youthful to my palate which is more used to tasting and drinking older vintages, it remains a very well-crafted wine. Definitely, a winery to keep an eye on for the quality and potential of their wines. Thank you Loïc for the samples and thank you Coralie for your wines. Info taken and translated from the "communiqué de presse" sent in September 2016.